PRP and charitable housing association and leading developer L&Q have been granted planning consent by Reading Borough Council for Kenavon Drive, a new residential quarter on the banks of Reading’s River Kennet. The new, design-led, quarter features bespoke warehouse style penthouses, two new squares and a contemporary architectural language referencing the site’s Victorian industrial heritage. Designed by PRP for L&Q, Kenavon Drive provides 765 homes for residents on a range of incomes arranged in bespoke ‘loft style’ penthouses, apartments, ground floor duplexes, and contemporary townhouses. 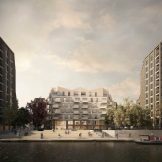 The high quality homes, of which 157 are affordable for local people, will contribute to L&Q’s plan to enable the delivery of 100,000 homes nationally over the next 10 years. The development also features two new public squares and a new linear park, as well a potential café, a restaurant, retail and flexible employment space for local workers. Occupying the site of the former Huntley & Palmers Biscuit factory – a grand Victorian complex almost wholly demolished in 1978 – the scheme will employ a variety of traditional brick techniques and feature a dynamic arrangement of saw-tooth roofs – a contemporary reference to the distinctive industrial buildings that once stood on the site. The use of historically inspired abstracted forms and techniques will create a contemporary architectural language that reflects the site’s manufacturing past as well as the character of neighbouring listed buildings in the area. 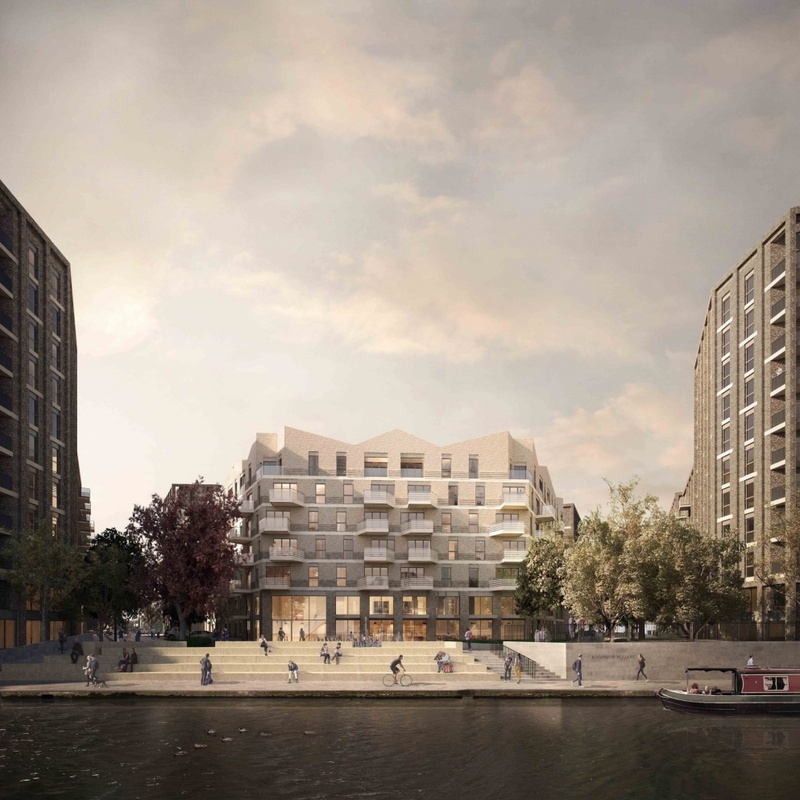 PRP’s landscape team has proposed a series of integrated streets and spaces for the scheme, that include a revitalised riverside promenade leading to a major new riverside square overlooking the River Kennet. The square features terraced seating, with new trees, lawns and fountains. Cafés and a restaurant will line the square, offering alfresco dining in a riverfront setting. PRP’s planning team led the pre-application discussions with Reading Council and will continue to manage the application post committee through the planning process. The site falls within the ‘Eastern Opportunity Area’ of the Reading Central Area Action Plan, which guides development in Reading to 2026. 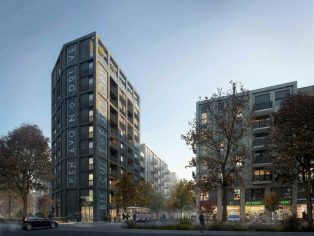 PRP’s planning team worked tirelessly to balance the competing demands on the site, working collaboratively with council officers to agree a position and approach to the various planning considerations on the site. Optimising the number of dwellings that can be delivered on the site, whilst also respecting the site’s history and surrounding heritage assets, has been critical to the success of the project. When complete, this new riverside quarter will become a new destination for Reading, with the new riverside squares, amenities and landscaped open space in the heart of the city, for residents and visitors alike to enjoy. Craig Sheach, Director, PRP said: “We were inspired by Reading’s history, the site and L&Q’s aspirations for the project and have developed a design which we believe is deeply rooted in its place, drawing inspiration from the former site’s industrial character. 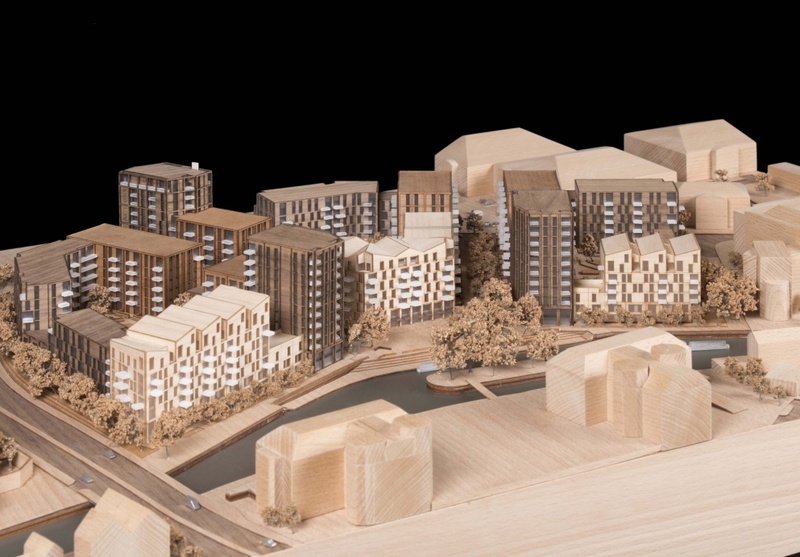 When delivered, the scheme will enhance the eastern quarter of Reading and provide residents and locals with a well-connected, walkable neighbourhood and place to enjoy a leisurely moment by the water – something that doesn’t happen currently at this part of the river. Craig Luttman, Regional Managing Director (Counties) at L&Q said: “I am delighted we have received planning permission to go ahead with this development which will breathe new life in to Kenavon Drive. We have worked tirelessly over the past year to propose a development of high quality homes and beautifully landscaped public space for the whole community to enjoy. “We aren’t just building homes; we are investing heavily in local infrastructure and creating a new destination with ample community facilities, employment opportunities and an ecologically enhanced riverside walk to improve biodiversity.